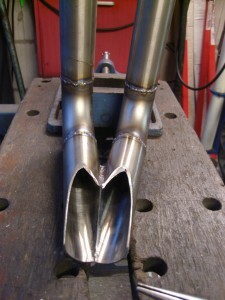 Page 1; Theory, design, and modifications. 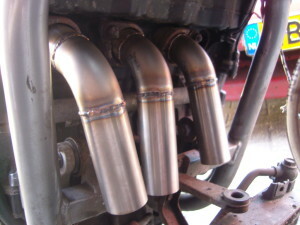 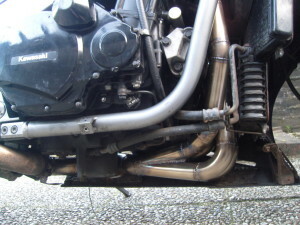 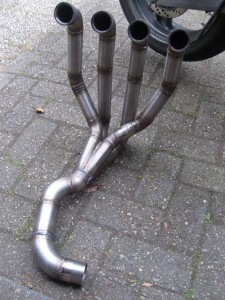 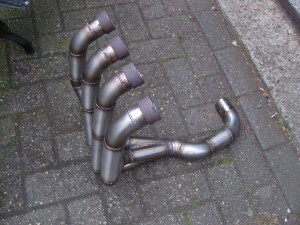 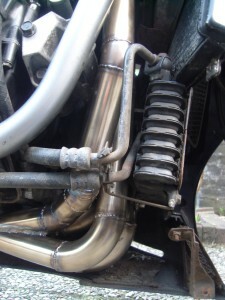 My ZZR1100 was equipped with a Laser 4-1 sport exhaust, the manifold section is made from steel and treated with some sort of coating (this was probably cheaper than a stainless steel manifold). 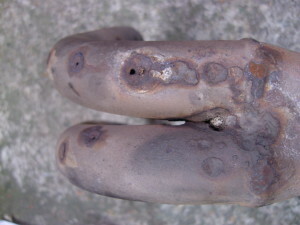 The coating seems to serve as rust protection and heat reflection. Unfortunately, over time small cracks developed within the coating that eventually led to cracks and holes in the steel piping. 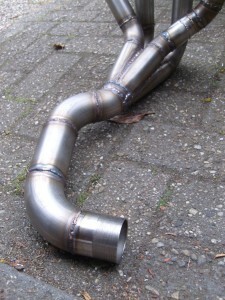 I fabricated a brand new manifold from 1,50x40mm stainless piping, the exact same diameter as the Laser exhaust. 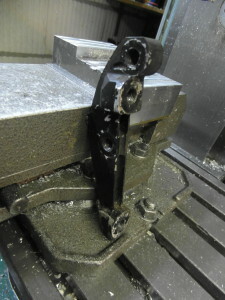 The general shape and curves were copied from the Laser, though I made several improvements. 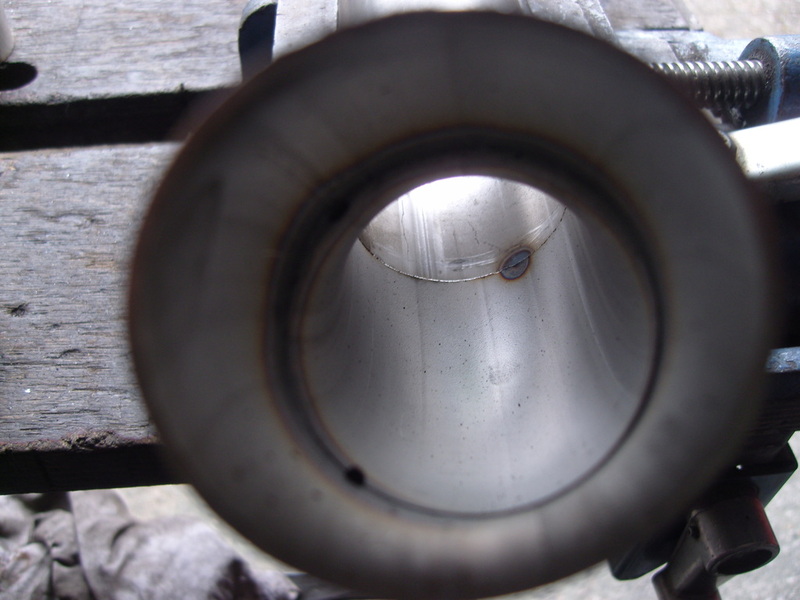 The merge collector (where the 4 pipes meet) was a simple, cheap stamped unit that brought the pipes together at a rather sharp angle and left room for turbulence. Also, the manifold needs to pass along the sump, and in order to make up for a cheaper design, Laser simply punched a dent in the pipe straight after the collector instead of ‘diverting’ it. 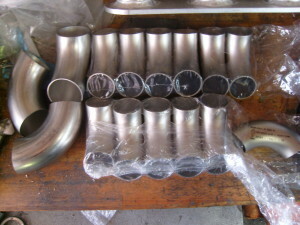 The material used was regular stainless 304. 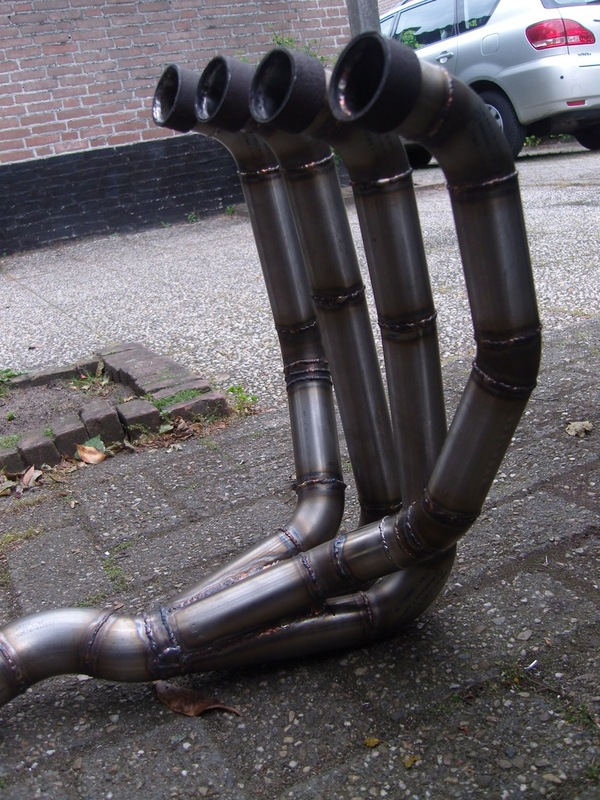 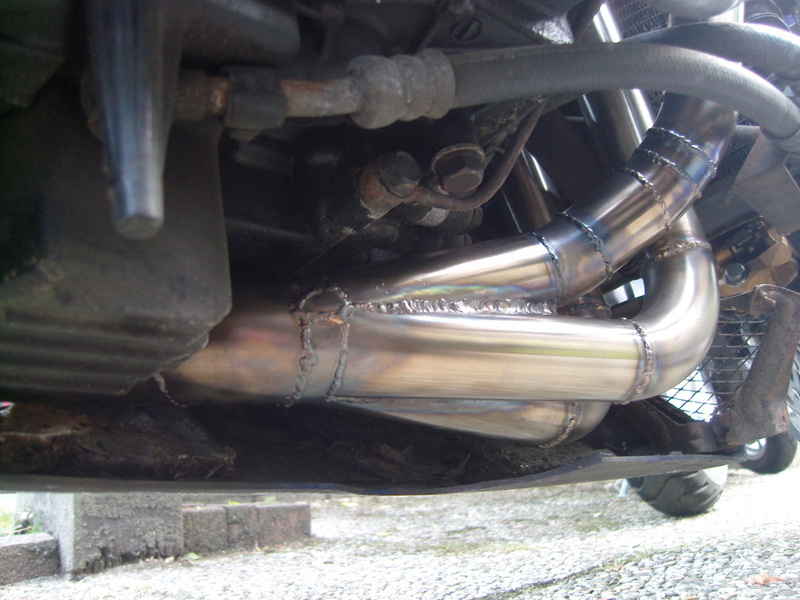 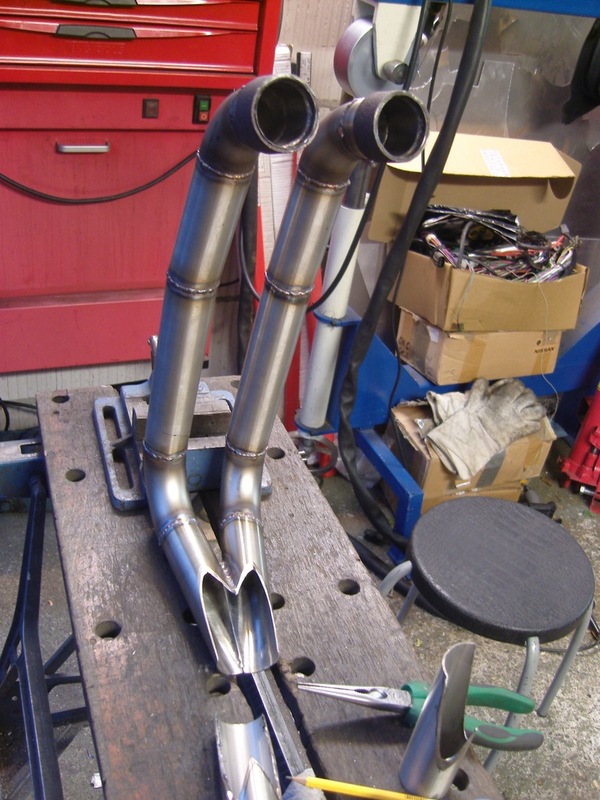 With the manifold not being used that hard in general (it’s a daily driver and I ride it relatively slow) there was no need to go for titanium or thin walled 321 stainless. 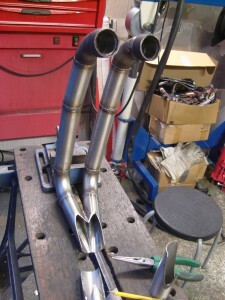 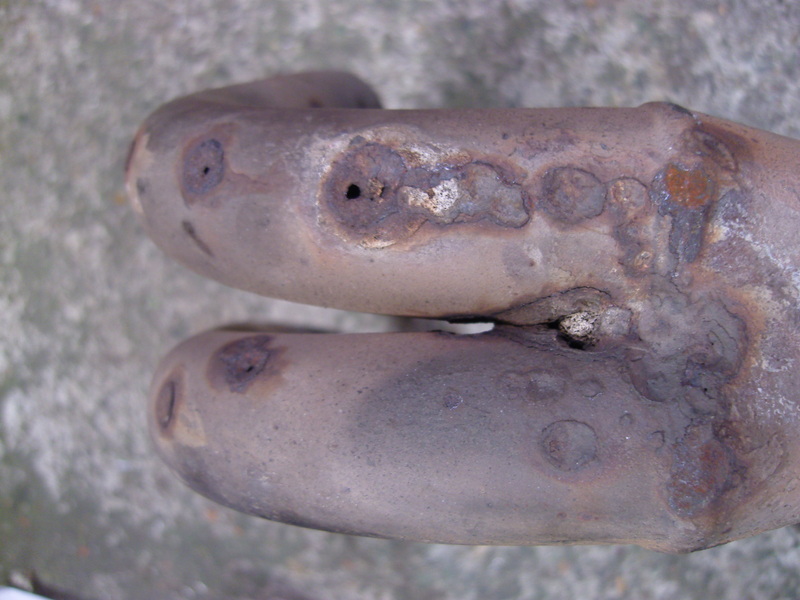 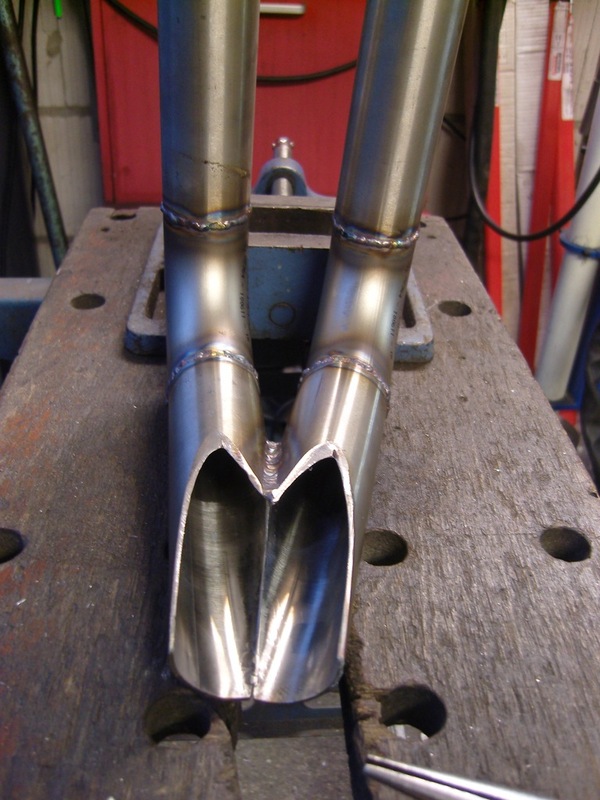 When I produce an exhaust manifold, I usually finish-weld it section by section to avoid welding tension within the material. If the manifold is placed in a ficture and all piping is first spot welded to align it, stress will be introduced and the manifold might warp so bad it won’t even fit (I’ve had this issue before although that was with unequal, poorly designed stainless manifolds). 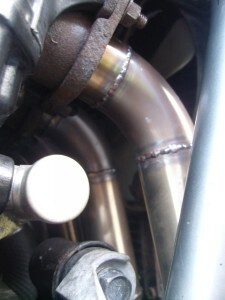 Without a backing gas setup, I had to weld carefully to avoid burn through welds. Well, naturally the air leaks were gone and the exhaust note was noticable smoother. 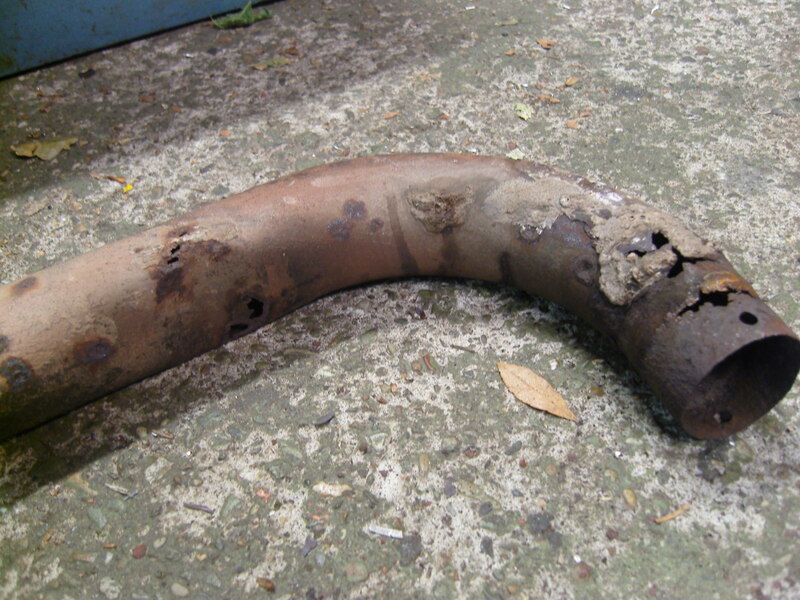 This was not just the result of the leaks being fixed but more of the newly designed merge collector, reducing turbulence. The engine runs better than with the leaking manifold, but from memory just as well as it did with the Laser manifold still in good condition. 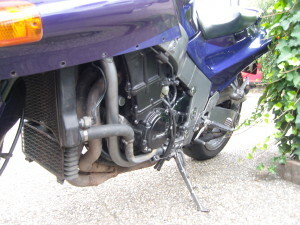 Giving the already high output (that I don’t use on a daily base) it’s difficult to feel wether or not the engine’s performance has improved, although the smoother engine noise does indicate it does. 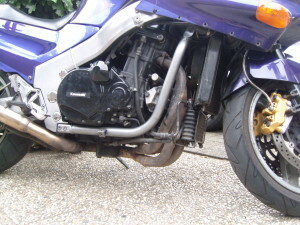 Kawasaki used a 2 piston floating caliper for the rear brake setup on this bike. 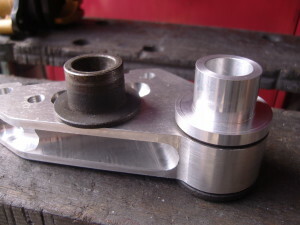 Stuck pistons are a common issue with them, and after piston jamming problems and 2 unsuccesful rebuilds I bought a single piston caliper from a ZX10R along with the master cylinder. The factory caliper is attached to a bracket with a bearing inside of it (this is only done for the eccentric chain adjustment system) that slides on the rear axle. 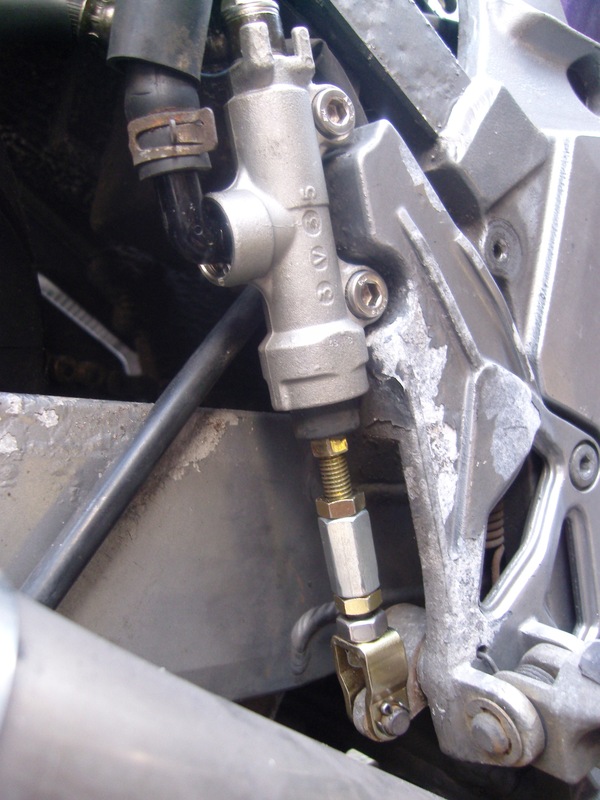 The bracket is locked from rotation by a long arm that attaches to the bike’s frame. Later, most motorcycle manufacturers switched to a simpler, lighter design, like the ZX10R has. 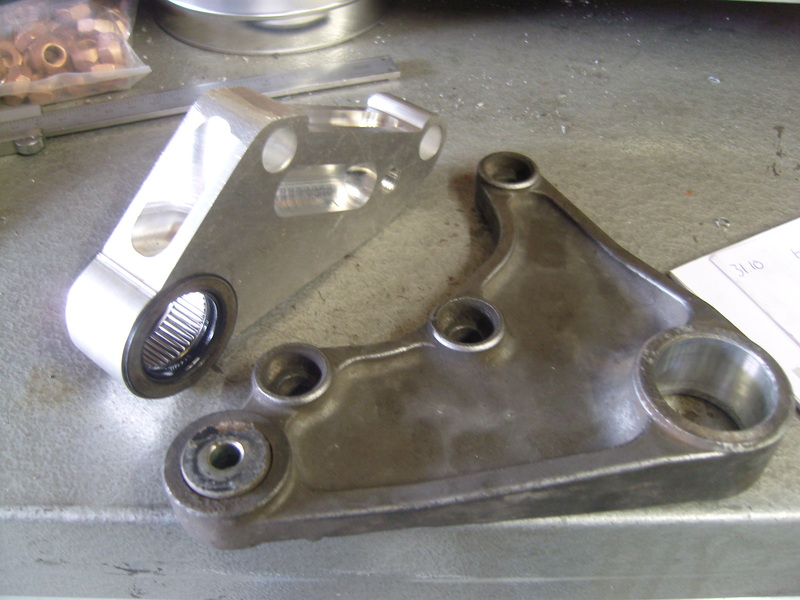 The bracket is simply locked from rotation with a slide system into the rear subframe, or with a small bracket on top of the subframe. Doing the latter, I designed a new lightweight bracket that attaches to the subframe on top. 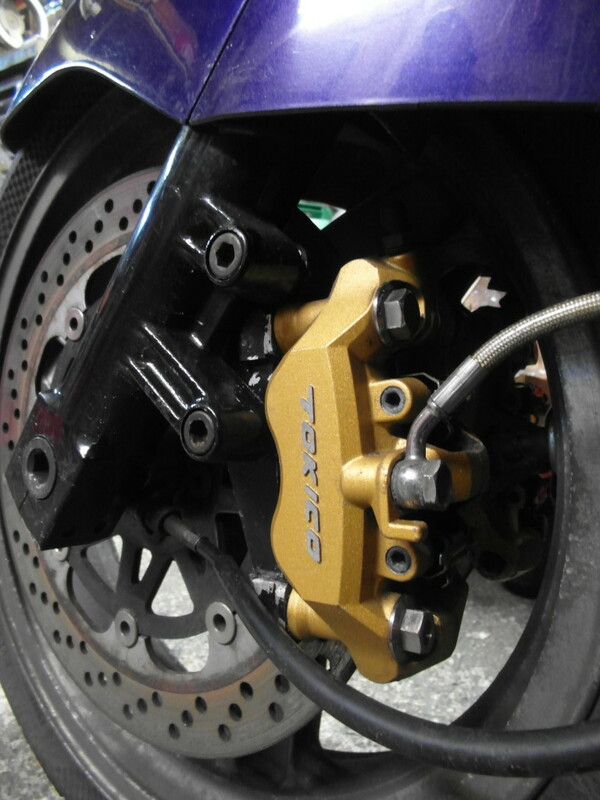 The new bracket looks heavier but is over 150 grams lighter than the factory bracket and arm, and the caliper itself is another 150 grams lighter. 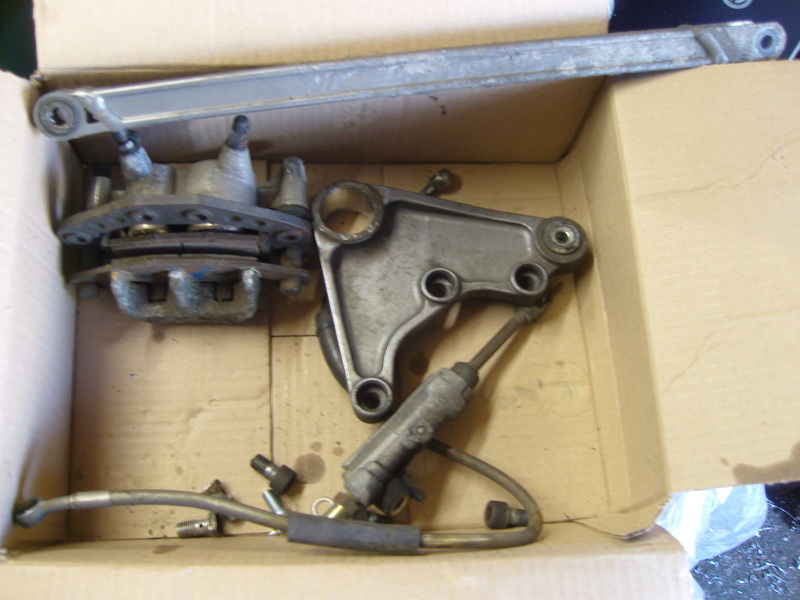 The ZX10R master cylinder was also transfered, requiring milling work as well. Brake feel improved and the bike looks better without the large caliper hanging underneath the axle. 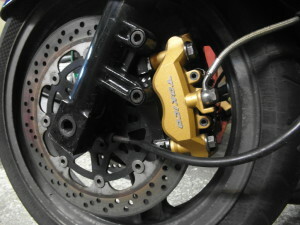 The factory front brake calipers suffer from the same defect as the rear caliper; stuck pistons. 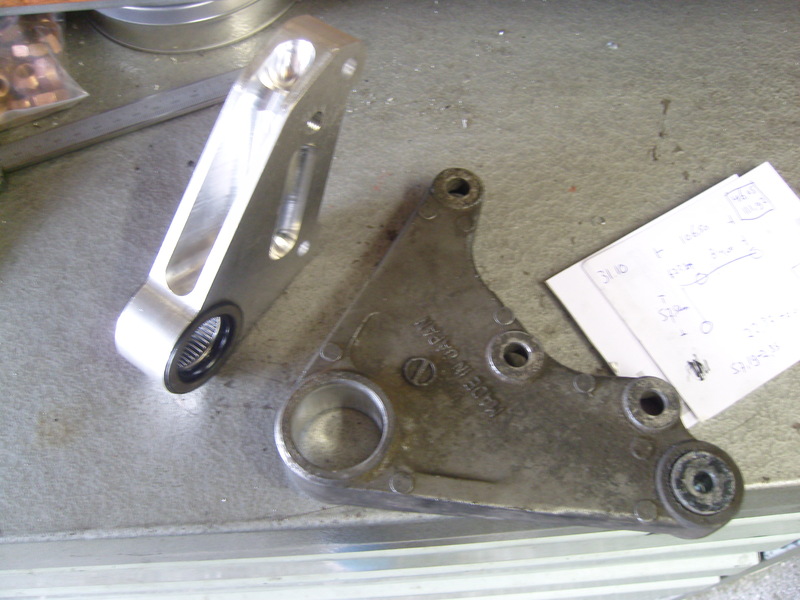 After several unsuccessful rebuild attempts I bought 6 piston calipers from a Suzuki that were a direct fit, but these were even worse. 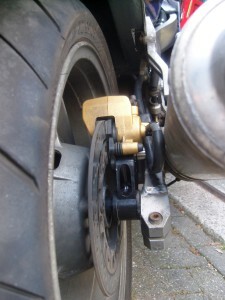 Since basically all calipers designed for this type of mounting are of poor quality, I bought radial calipers from a 2007 ZX10R and designed brackets to mount them. 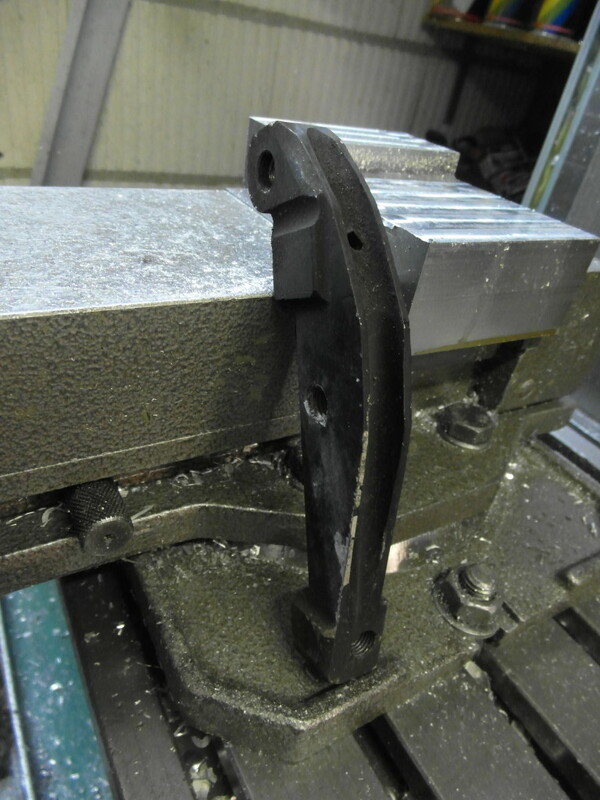 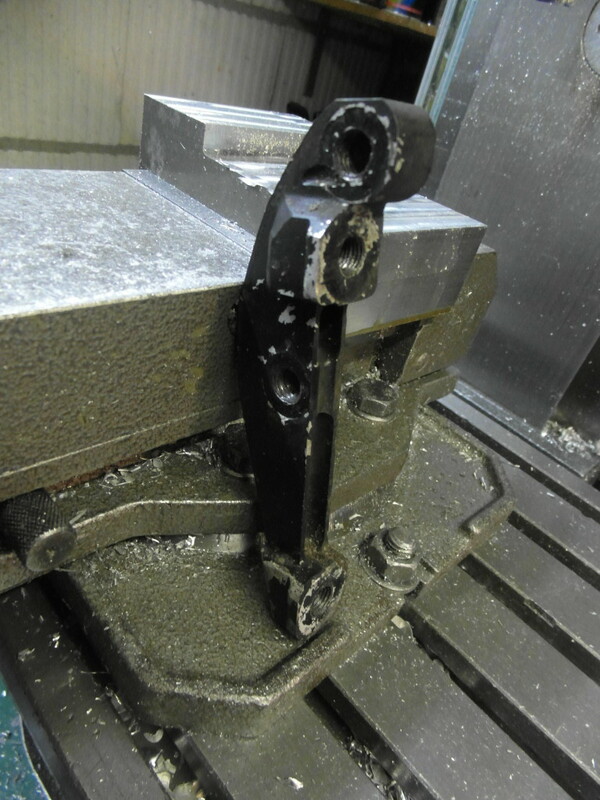 The radial mounting made it easier to design the brackets but does not offer the strength advantage of a radial mounted caliper. 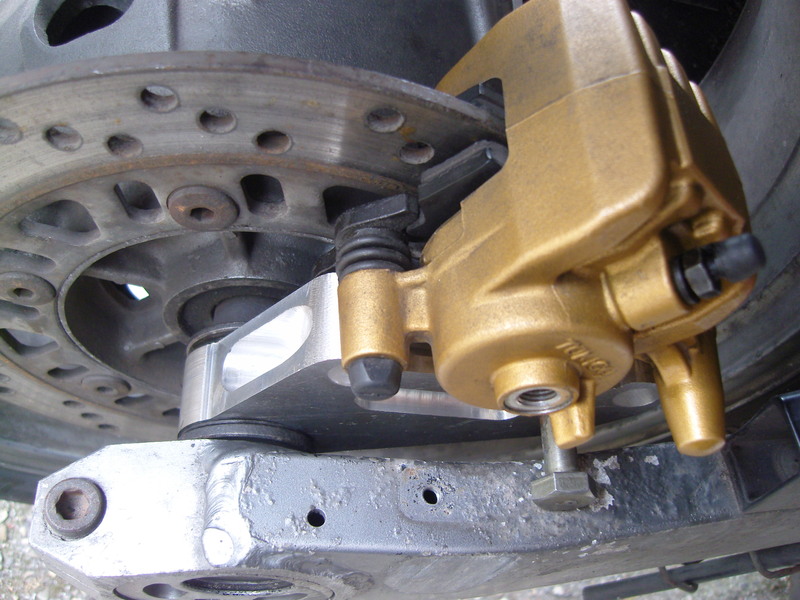 The combination of bracket + 2 bolts and caliper added just 20 grams per side. Along with the calipers I also installed the ZX10R brake master cylinder for correct pressure (the factory cylinder is in fact to large for the smaller pistons on the ZX10R calipers). After driving around with these for over 35.000km I can say that the pads wear correctly and overall brake feel, and ‘bite’ is substantially increased.